Last , October 17th I was invited by the Cathy Valencia team to their branch blessing and intimate launching of their latest line at Eastwood City. 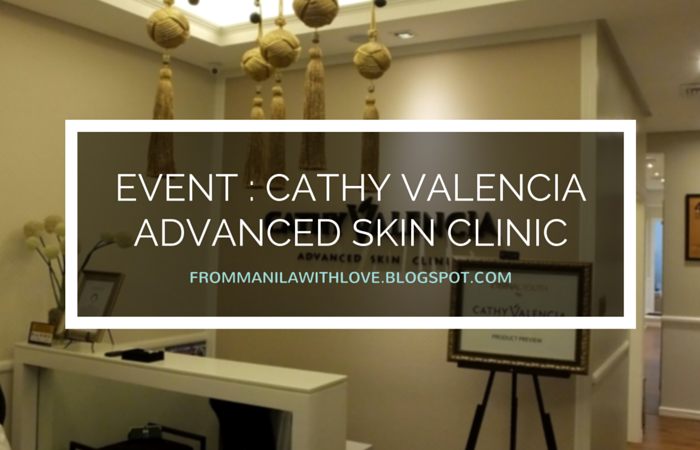 Cathy Valencia Advanced Skin Clinic - Established in 2002 - more than a decade in the skin and beauty industry- it's one of the most prominent and trusted clinics until today. Its President and CEO, Ms. Cathy Valencia-Lim is a duly certified skin expert, having completed a degree in Atopic Dermatitis and Acne Management in Izumo Hospital in Shimane-Ken, Japan, plus extensive training in Beautiful Earth Skin Products under Dr. Tetsuo Santo of Beautiful Earth USA Incorporated. 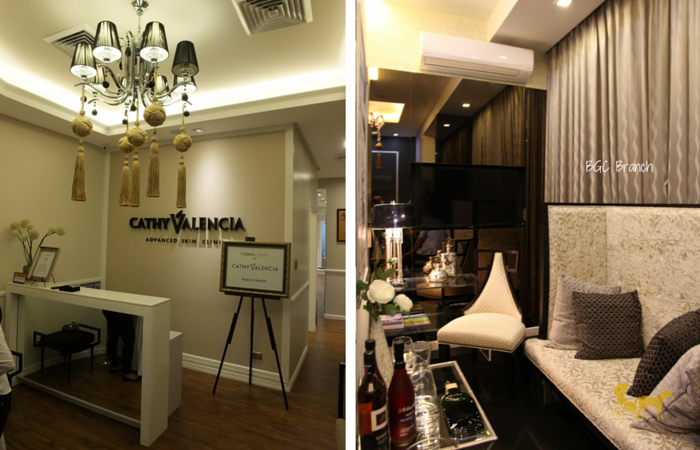 With her expertise and dedication to skin care, Cathy Valencia does not settle for anything below par. Knowing her background as you walk in one of their clinics you can immediately tell that you'll be in good and capable hands. 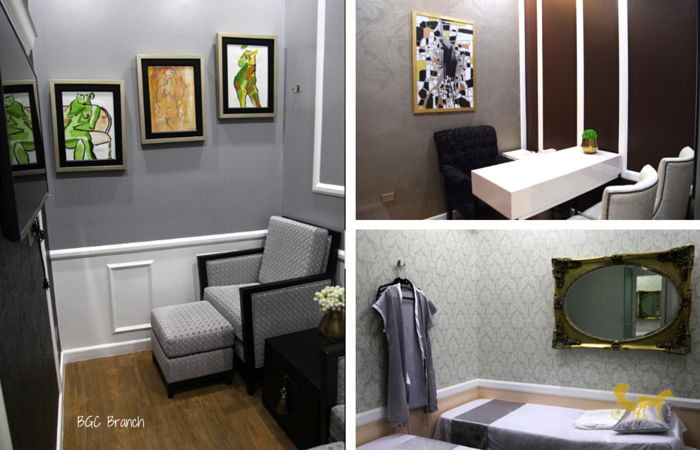 The posh color scheme and delicate furnishings give off a warm and tasteful luxury that Cathy Valencia-Lim herself seems to evoke. The brand ambassadors of Cathy Valencia Skin Clinic and Cedrix [Their slimming center], Isabel Oli- Prats and Camille Prats along with Cathy Valencia-Lim. With services that range from simple facials and peels to laser treatments and cosmetic surgery CV has covered all there is to cover when it comes to aesthetic beautification. Knowing the clinic's impressive roster of clients and endorsers [Rufa Mae Quinto, James Yap, Erich Gonzales and Vina Morales to name a few] I asked Ms. Cathy Valencia, what she could tell the young professionals so they won't be to intimidated to get something done for themselves. 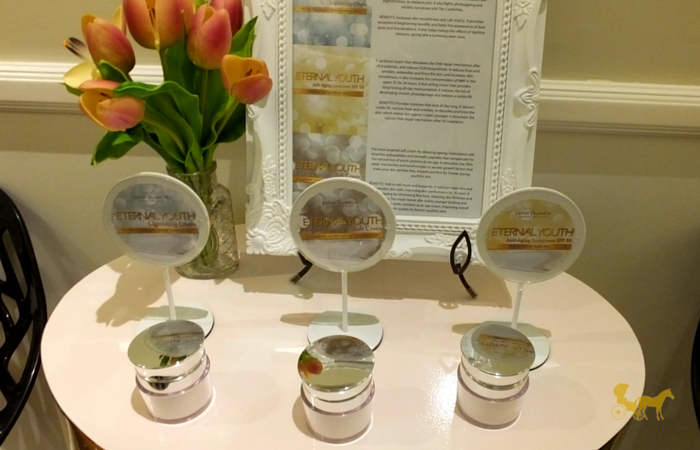 Eternal Youth Lightening Cream - A natural skin lightening cream that inhibits melanin formation and provides exceptional brightening benefits fading the appearance of dark scars and discolorations. Fights photo-ageing, increases smoothness and cell vitality. Eternal Youth Soft Cream [For day and night] - Aids in cell repair and longevity. Hydrates dead skin and rejuvenates skin cells. Formulated with bioactive polypeptides and biometic peptides that compensate for the natural loss of youth proteins as we age. --- wow. Eternal Youth Anti-Aging Sunscreen with SPF 50 - Stimulates DNA repair mechanism after UV irradiation. A fast-acting cream that provides all-day moisture delivering a visible lift and reduces the risk of developing chronic photodamage. She mentioned the importance of spending on yourself to be the best version of you when meeting new people and just for the fact that one needs to indulge a little. And I agree, one does need to indulge from time to time and what better investment than yourself? Especially young professionals, who work hard (and party harder) hustling away, taking care of yourself should be top priority. After all prevention is better than the cure. 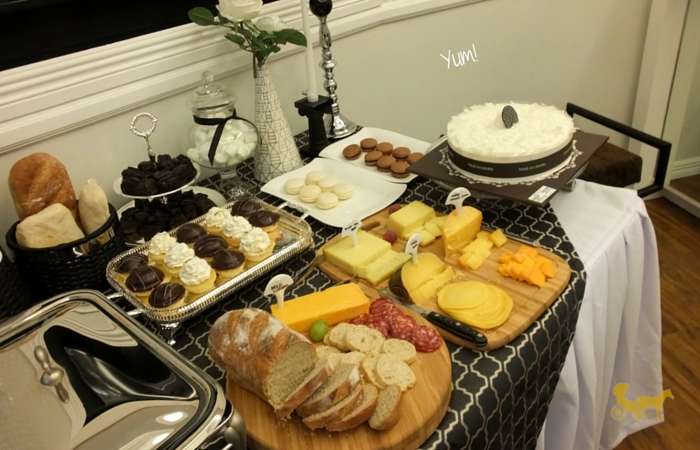 Employing cutting-edge technology and showcasing an extensive range of products made from materials imported and specially formulated in Japan, USA, France along with rigorous testing and certifications from international and local quality control standards, their pricing is still affordable according to them. Given how long they've been in the industry, their prices might be a little more steep than the casual "facial place" you might frequent. I'll be visiting their clinic soon for a facial so I'll let you guys know about the prices and how everything goes ;). PS. For more information about their products and services you can visit their Facebook or website or you can give them a ring! PPS. Their prices according to them, are crafted to your specific needs, so you won't find a pricelist online. PPPS. They currently have a promo for their Eternal Youth Peel, 40% off for people aged 40+ at their Eastwood branch.